DBS has unveiled expansion plans in the Middle East, homing in on a growing wealth segment that looks towards Asia for investment opportunities. It will make its Dubai office a strategic hub for the Middle East, positioning itself as the partner of choice for clients wishing to access the Asian market. Over the next five years, South-east Asia’s biggest bank intends to double the number of private bankers in Dubai from 20 now, a DBS spokeswoman said. Presently, the total headcount at the Dubai branch is more than 40, she said. DBS has expanded its office premises located at the heart of Dubai’s financial hub, the Dubai International Financial Centre (DIFC). Over the past seven years, the Dubai branch’s total revenue has grown 20 per cent per annum, it said. “Targeting the region’s growing presence of ultra-high net worth (UHNW) and high net worth (HNW) individuals, family offices and sovereign wealth funds, the bank also aims to triple its revenue over the next five years by focusing on increasing client diversity, spread and penetration,” DBS said. DBS is the sixth largest private bank in Asia in terms of assets under management as ranked by Asian Private Banker. As part of its extended offering, DBS is building a bespoke investment portfolio including private equity funds within growth segments such as e-commerce, health technology, real estate, logistics and fintech across growing Asian markets; structured products in key segments for China and India; dual currency loans; and real estate investment trust (Reit) initial public offerings with underlying assets in Europe and North America. Tan Su Shan, DBS group head of wealth management and consumer banking said that the United Arab Emirates (UAE) and Singapore are strongly linked by their shared values of innovation, technological progress and visionary thinking, making Dubai a natural choice for a regional hub. Wealth in the Middle East remains on the rise, with the number of UHNW clients with more than US$500 million in assets in this region projected to increase by 28 per cent – from 390 in 2017, to approximately 500 in 2022, said Ms Tan. “With Middle East client appetite for Asia wealth solutions growing, DBS is well-positioned to support our Middle East clients in accessing Asia’s growth opportunities through our strong Asian network, innovative investment solutions and world-class digital capabilities,” she said. As part of its expansion plan, DBS also announced the appointment of Rudiger von Wedel as head of international, DBS Private Bank, effective from Nov 19. Based in Dubai, he takes over from Rob Ioannou, who will be moving on to lead DBS’s wealth, trust and estate planning business, as well as build up DBS’s single family office offering and Australian desk. Mr von Wedel was most recently chief executive of the global wealth division of the National Bank of Abu Dhabi. Established in March 2006, DBS’s Dubai branch was the first Singapore-based bank to receive a banking licence at the DIFC. This is not the first time that DBS has tried to expand in the Middle East. 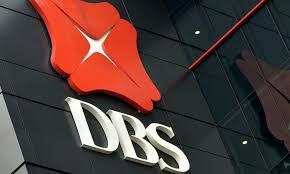 In 2007, DBS had set up the Islamic Bank of Asia (IB Asia), investing US$250 million in Singapore’s first Islamic bank. It was joined by 22 co-investors from prominent families and industrial groups from Gulf Cooperation Council countries, such as Qatar, Saudi Arabia and the UAE. But IB Asia was closed in 2015 as it could not achieve economies of scale, DBS said then.